News from the office of Birmingham's Literature Festival..
Waterstone’s book shop 24-26 High Street, Birmingham. Personal stories from real people at work in the city, familiar songs that you can join in with, new poetry and yarns inspired by the city of 'Birminghum'. Three special 5-10 minute slots always reserved for people aged under 18 years of age to play their guitar, sing a song or share a new story or fresh verse. See above link for more information or to get in touch with Adrian. Guests for Sat 28 March include great lyrical voice artists Leanne Stoddart and Andre Hesson from Birmingham and the young poet laureate, India Miller. With TV drama series like Hustle and Survivors now filming here, we look at how we can rebuild our TV drama industry in the region. Come along to The Bond to hear a stellar panel of TV drama names give their views. This is an unmissable event for local screenwriters, directors, producers and anyone who cares about the future of television drama in the West Midlands. You can get tickets and more information on this incredible day of writing, writers, books and discussion featuring: Carol Ann Duffy, Helen Dunmore, Stuart Maconie, Jenn Ashworth, Jo Bell, Samantha Harvey, Amanda Smyth & Aifric Campbell. A day ticket gets you entry to ALL events! Have a look at the website for more info - a full timetable will appear there nearer the date. Check out Ledbury Poetry Festival's Poetry Competition - judged by Billy Collins, first prize a Ty Newydd writing course! See website for details. Biopics are crowd pleasers and regular Oscar winners – with bankable actors often attracted to the challenge of playing a real and notable figure. But while the facts of someone’s life might offer elements of plot, how can writers prevent biopics becoming episodic documentaries – and how far can or should a screenwriter ‘stretch the truth’? This 1 day course will examine how to find the best story in a ‘life’, how to develop gripping character stories and how to approach those legal and copyright issues that might arise. It will also examine the conventions that define the genre and look at some of the ways that filmmakers are stretching and challenging the ‘rules’ to push the genre forward. By the end of the course you should have acquired a deeper knowledge of the biopic, along with specific tips and techniques to progress your own scripts and ideas. 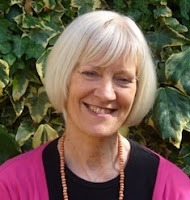 Claire Ingham is a producer and film and television script developer. She works on projects at all stages of development - currently ranging from the adaptation treatment of Eoin Colfer’s bestselling novel The Wishlist to the final draft of Helen Cross’ original feature Stratford Road. Claire has previously worked for a number of film and television companies in development roles. She was Head of Drama Development at Impossible Pictures for four years where she headed a small team, commissioning and developing a range of TV and film projects for all the major broadcasters, including Jed Mercurio’s contemporary retelling of Frankenstein and Michael Chaplin’s family film Pickles. When is a life story a dramatic story? http://www.scriptonline.net/ For more info or to book. Birmingham was buzzing with creative types during the 1930s; modernist architects, surrealist painters and a host of writers including W.H. Auden, Louis MacNeice and Walter Allen. To use a new-fangled phrase, what made the city such a cultural hub between the wars? Author David Lodge and Tessa Sidey from Birmingham Museum and Art Gallery will be exploring the period, alongside a screening of Lodge’s TV documentary As I Was Walking Down Bristol Street (dir: Jim Berrow) and beautiful amateur cine footage shot at the time. Total running time: 100 minutes approx. Wrapping up Flatpack’s thirties strand, special guest Juliet Gardiner will be talking about the social significance of the cinema during this time and sharing some of the celluloid nuggets discovered while researching her ambitious and engaging new book The Thirties: An Intimate History. We’ll also look at two very different film-going experiences: the suburban super-cinema, in 1973 documentary Odeon Cavalcade; and the newsreel theatre, a place to kill time while waiting for a train. While preparing a film about the Electric’s history, the current owners have uncovered a wealth of material from the cinema’s newsreel days including footage of the building unseen since it was first filmed. Booking for Flatpack 2010 opens at http://www.flatpackfestival.org.uk/ on 25th February. I spent part of the weekend at the WIC (Writing Industries Conference). This is the second time they've run one of these, and the second time I have been over to Loughborough for it. This one was quite a change from the one before (2008). Sessions on everything from Paranormal Romance to Pitching Scripts, and all brought together beautifully with a Graham Joyce keynote. I confess I was largely unaware of Mr Joyce, but was impressed with his speech on 'diversification for writers' and the generosity with which he gave to other writers throughout the day. The day also got me thinking about genre and sub genre, and whether there is an event in there somewhere (after feeling decidedly ignorant about the various sci-fi/fantasy sub-genres mentioned - steampunk, gaspunk, etc). I'm mulling over ways to bring this to this year's Festival in a way that makes it accessible to all and not just a platform for repeating conversations that might be happening elsewhere - or that happened on Saturday! Today brought a Guardian article featuring Brian Gambles and Mike Whitby on Birmingham's new Library of Birmingham project - something we are following closely, of course, and final planning for our Spring Thing event on May 29th. The line up for this is now complete, and includes some brilliant writers and performers (Carol Ann Duffy, Helen Dunmore, Jo Bell and Jenn Ashworth to name but a few....) Tickets should go on sale next week, and details will be posted here as soon as they do. 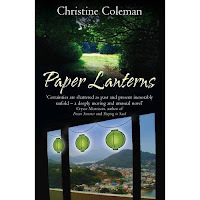 Next month, before our Spring Thing arrives, we are launching Birmingham writer Christine Coleman's second novel, Paper Lanterns at Ikon Gallery (Oozells Square, Birmingham B12HS) on Tuesday 27th April 2010 at 6.45pm. Christine will be in conversation with her childhood friend and former Fat Lady Clarissa Dickson-Wright. This event is free but must be booked. To reserve a place call Sara on 0121 246 2792 or email sara[at]birminghambookfestival[dot]org. Also on the drawing board this month are ideas for October workshops. If there is anything you desperately want, feel free to let me know. Currently on the cards is something on blogging for writers, writing for children, poetry, and freelance journalism. 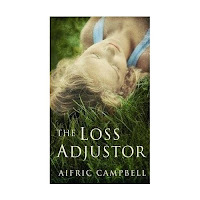 At once startling, moving and raw, this is very good prose draped over a very powerful story. If I am honest, it contains plenty of elements that, when put together, ought really to have a sense of the done-before. A city worker with a small-town past, a childhood friendship full of secrets and tragedy that continues to plague her into adulthood, an intoxicating first love that tails off without resolution and leaves our protagonist, Caro, unable to move on, that pain magnified by the object of her affection becoming a world famous rock star. Caro is left to replay the memories of his first guitar solos in their childhood bedrooms, and interrogate his lyrics for any mention of her. Add this to the challenging and slightly antagonistic friendship Caro is forming with Tom, an elderly man she often sits opposite in a churchyard as they ritually pay their respective dues. It is this that drags her back into the history of the town in which she grew up, forcing them both to confront the demons that accompany them along their lonely paths. It should be familiar. But somehow, due in no small part to the beautiful prose and commanding language, it is wholly new. The story is compelling, managing to be at the same time nostalgic and contemporary. Caro is likeable, but only just, making her a very three dimensional character - constantly dipping in and out of functionality in a way that we probably won't want to admit we can relate to. The landscape is well drawn, and the twist in the tale was, for me at least, completely unexpected. A beautiful, riveting book that I hesitate not to recommend. For those of you interested in screenwriting Script's latest workshop series, here, gives you the opportunity to learn more and perfect your skills. Have a look at their website for full details. We are an arts and literature organisation that runs events and schools programmes, encouraging people to engage with literature in diverse and original ways. Our motto, an instructive phrase by which we try to live and work, is: read, write think. What would tempt you to read a particular book?